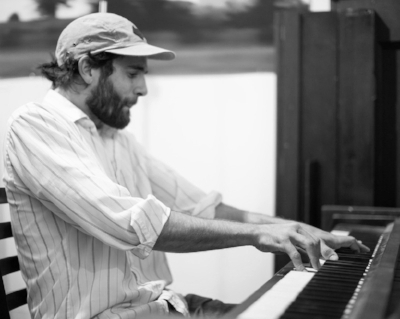 Sam Clement is a multi-instrumentalist, studio engineer, and music producer who currently resides in southern Vermont. A graduate of Bennington College, Sam has been working at Akin since it's inception, and an active producer and engineer for more than a decade working on albums for clients ranging from Tavo Carbone, Pat Hull, David Howard and many others. Drop Sam a line for inquiries at samclementmusic@gmail.com. Michael Chinworth is a pianist, composer, producer and engineer. As an artist, Michael has worked extensively with composer Nicholas Brooke, The Trevor Wilson Vocal Ensemble, Pat Hull and many others. As engineer and producer, Michael has worked with Pat Hull, Tavo Carbone and has produced a wide variety of original music. Drop a line for inquiries at mchinworth@gmail.com.